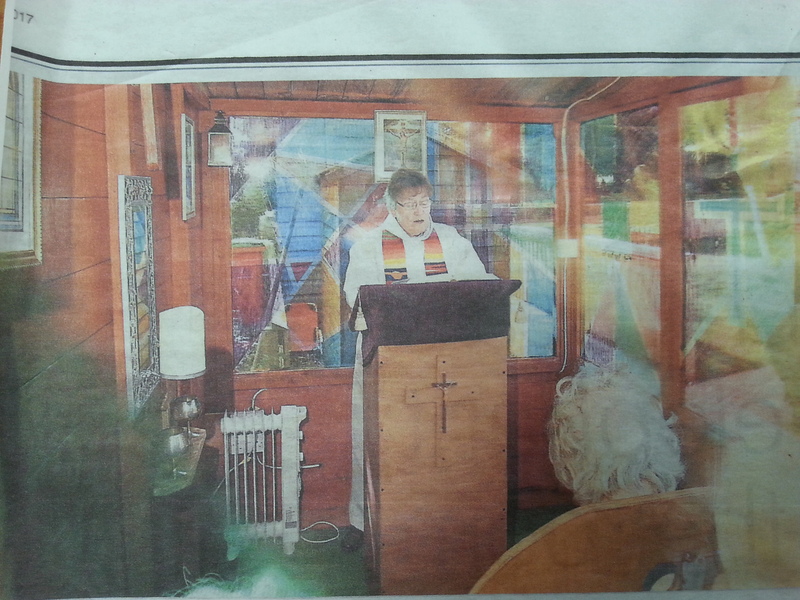 Balcarres Care Home has built a church for their dementia village - complete with a stained glass window. The latest edition to their garden area was officially opened with a service from Reverend Canon Fay Lamont, Priest in Charge of St Ninian's Church, Dundee. Lyn McLean, the manager of the home in Broughty Ferry, said: "We're calling it Balcarres Church, and it's an area for all different religions and faiths. It started as a wee project, but out handyman just took it and turned it into somthing none of us expected. Canon Fay said: "I was blown away by it when I saw it. They have done a fantastic job in creating it. I think the whole vision of it, the demential village is magnificent. She mentioned that, although there had given a special service to officially open the chapel, further services would be carried out by St Mary's, Broughty Ferry.